Building on the success you have already achieved, Ignition works with advertising agencies and other professional firms to develop a relevant, differentiating positioning strategy designed to help your firm attract the clients that want you for what you do best. A well-defined set of criteria for identifying ideal clients. A stronger win ratio when soliciting new business, because you are playing to your strengths. Clearer direction for how the firm should spend its time, money and resources. 1. WHAT are your outstanding competencies? In which areas could the firm be considered best-in-class? When it comes to your firm's abilities, the task is to identify not just capabilities but competencies. Competencies are capabilities of the organization that can be delivered in a dependable, differentiating way. Defining what's core to the organization is often the result of disaggregating a short list of services and abilities, then breaking them down into component parts to find what's truly distinctive. 2. WHO is your ideal customer? What types of categories does the firm know best? Defining an effective positioning strategy means having a clear definition and understanding of your best customer – the types of clients you are best suited to serve. This is a process of deeply exploring the firm’s experience with business categories, market segments, audiences, and types of business models. 3. 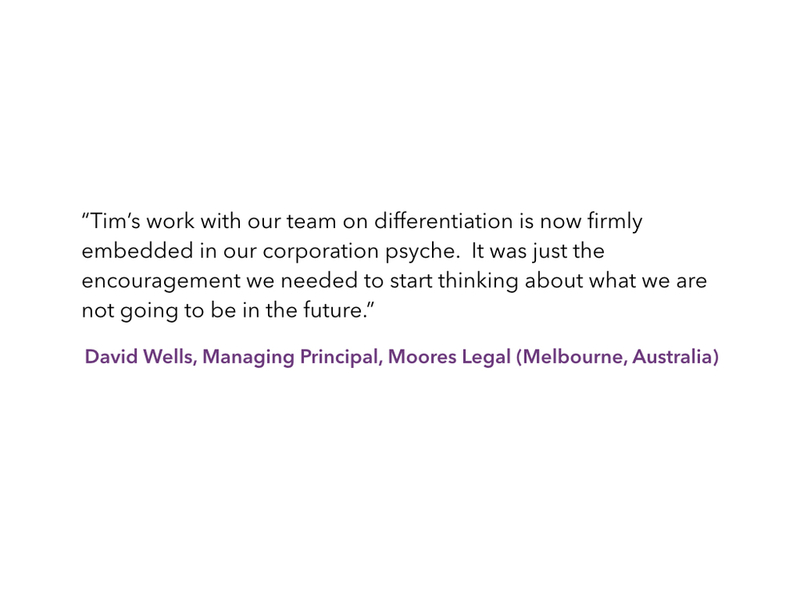 HOW can your firm be distinguished by the way it thinks? What are your unique philosophies, methods or approaches? The culture and intellectual capital for the firm is a critical cornerstone in business strategy. This is about identifying the standards, values and beliefs by which the firm operates, serves clients, and makes daily decisions. It's also about proprietary approaches you bring to solving client problems. 4. WHY is your firm in business in the first place? Beyond making money, what is your purpose? Without exception, the most notable firms have an ambitious reason for being. Rather than being driven solely by the market, the competition, or the numbers, what is it that drives you from inside? Your purpose must be at the center of who you really are as an enterprise. The intersection of these four brand boundaries — What, Who, How and Why — defines the firm’s business strategy and points the way to a positioning strategy that makes the most of the firm's strengths. By identifying and prioritizing key initiatives in each of these areas, we’ll work to bring your business practices fully into alignment with your business strategy. Firms that have completed this program put their time and resources behind what they can do instead of what they can’t do, and direct their energies toward a long-term business strategy that increases the organization's value and relevance to both current and prospective clients. 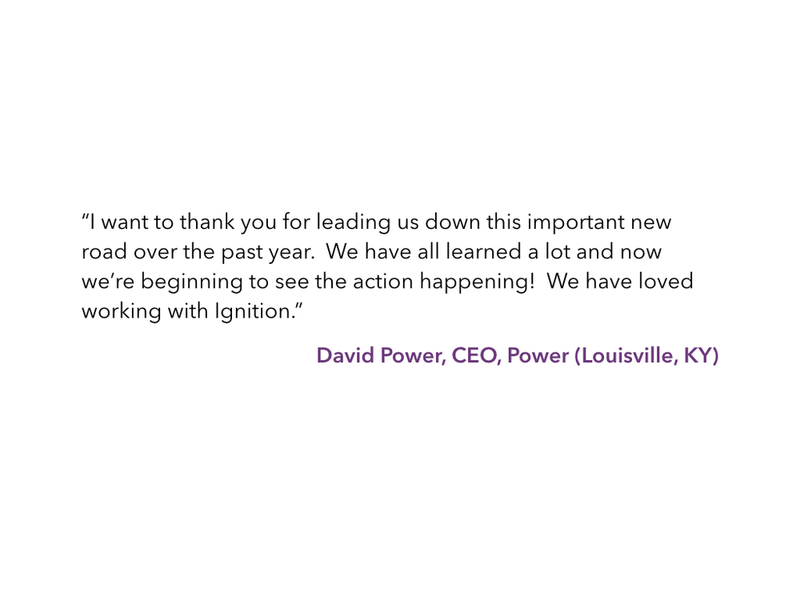 Ignition's Positioning Strategy Program is led by Founding Principal Tim Williams, author of several books on positioning strategy, including "Positioning for Professionals." To learn how your firm can benefit from a more focused business strategy, please contact us here.